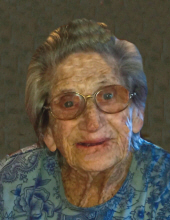 Lola Sarah Bryant Hopkins, 94, of Crab Orchard, passed away Wednesday, September 19th, at Landmark Nursing Home of Lancaster. She was the widow of William Russell Abney and Walter Hopkins. Lola was born in Whitley County, Kentucky on June 25, 1924, a daughter of the late Rev. John Wesley and Alice Clementine (Martin) Bryant. Lola was a loving mother and grandmother. She was a hard worker and enjoyed gardening, farming, quilting, cooking and canning. To send flowers or a remembrance gift to the family of Lola Sarah Hopkins, please visit our Tribute Store. "Email Address" would like to share the life celebration of Lola Sarah Hopkins. Click on the "link" to go to share a favorite memory or leave a condolence message for the family.